Database entities represent external databases which can be integrated with a flow and then displayed on a CSV file. In this example, we are going to fetch data from the database into a CSV file. 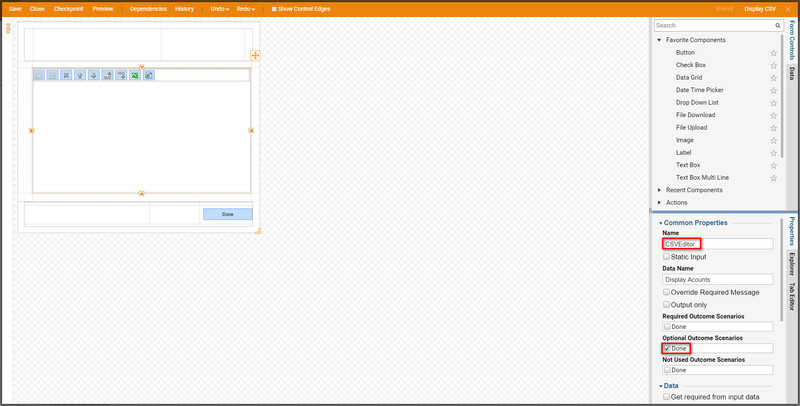 Next the data from the database will display on a form using a CSV editor step. 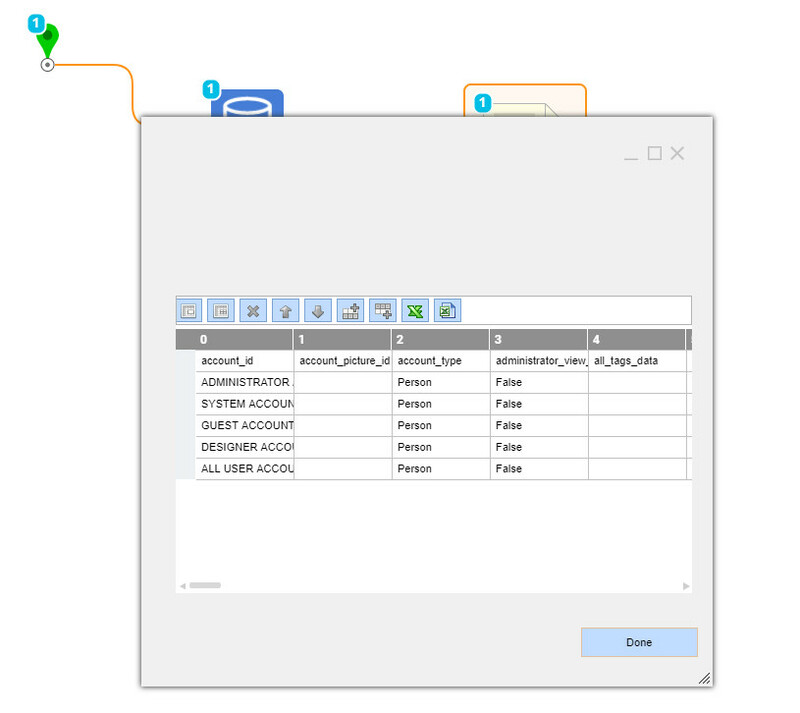 Fetching data from a database and then displaying the data on a CSV file can be assembled in two steps in the flow designer. 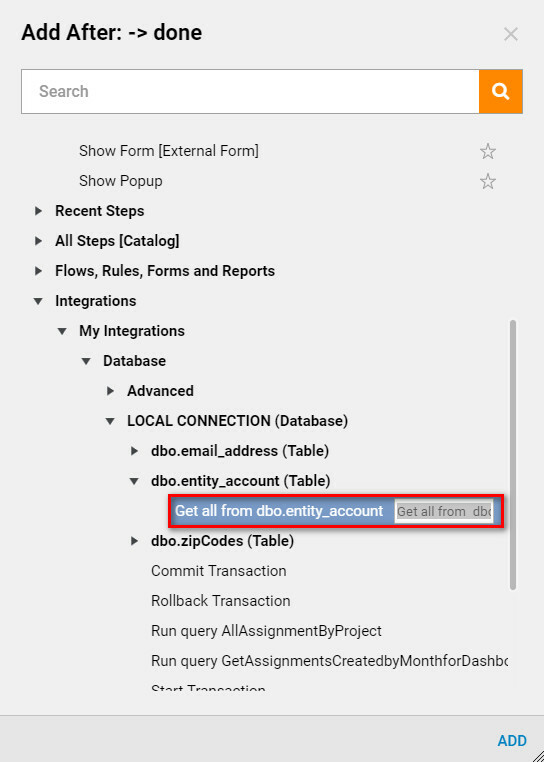 In the flow designer navigate to Integrations > My Integrations > Database > Accounts(Database) > dbo_entity_account (Table)	category and select Get all from dbo_entity_account	step. Select Add	to add this element to the flow. In order to convert the data from the database to a CSV file set the property to CSV File and choose to limit the count to a constant if needed. 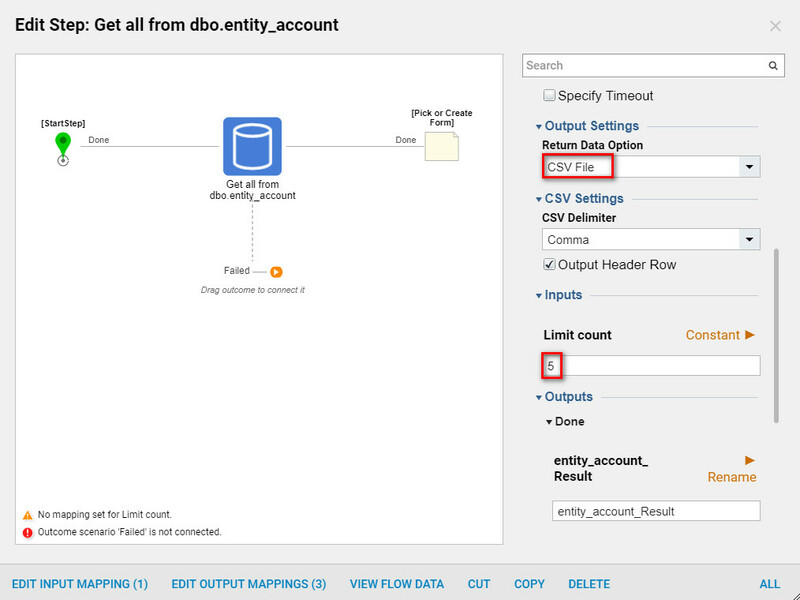 After the Data Return option is selected on the Get All from entity_account	Step, create a form to display the data in CSV form. On the form use a CSV editor component to display the specified data as a CSV file. 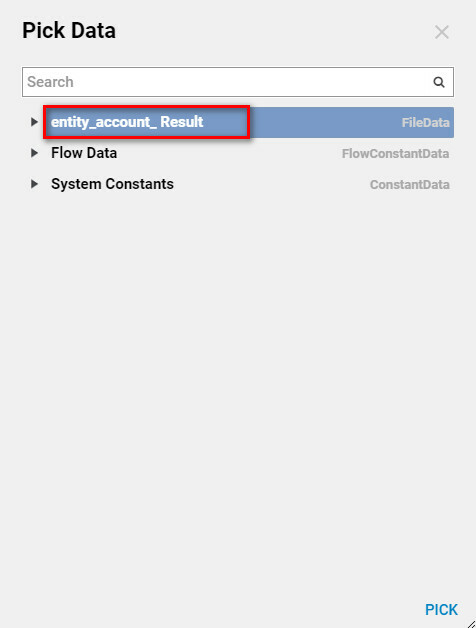 In the Flow Designer set the input data on the form, Select Entity_account_Result.